Solve your winter warmth woes with these coats for women - handpicked by Muddy's favourite boutique owners and stylists to keep you gorgeously geared for those chilly days ahead. This oversized wool-blend cardigan coat will work hard for you this winter. It's simple and stylish with a classic herringbone design and oversized pocket detailing at the front. Perfect for England's oscillating weather - during those warmer spells, throw it over jeans and a t-shirt or on those dismal days, over a thick knit, and snuggle your hands into those deep pockets. The French have mastered effortless chic - but there's no need to head to the Champs-Elysées to shop when Parisian brand Max and Moi available right here in Surrey. This elegant Max and Moi beige coat, with plush fur collar and cuffs doesn't compromise on warmth, but is supremely stylish, making it perfect for layering during the super cold months. This long navy blue Zara coat has long puff sleeves and tied cuffs giving it a modern twist and versatility that will stand the test of time. And coming in the fashionable yet understated power of navy blue, it tick's all of our boxes. 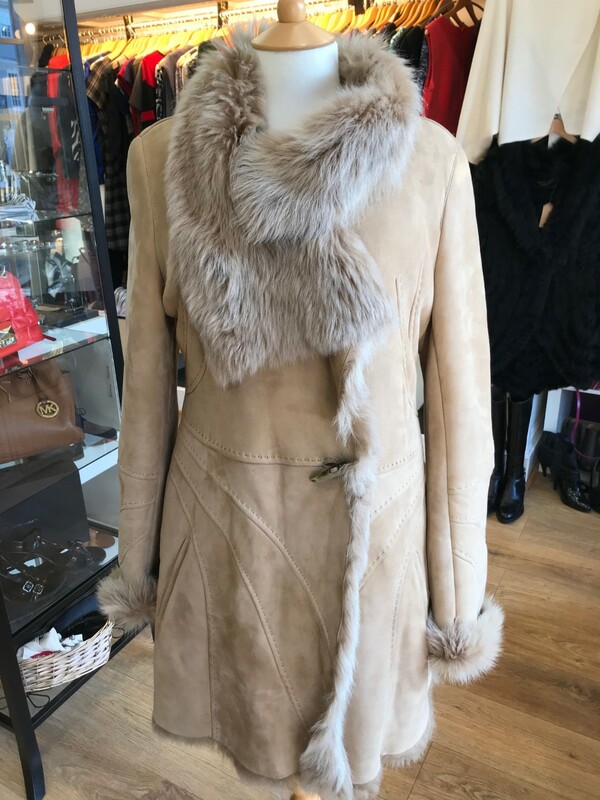 There’s only one of these fabulous shearling coats to buy from the Plum Dress Agency who specialise in the resale of luxury clothing. This size 10 coat by German label Laurél oozes sophistication with its fur collar and trimmings. It retails at £1,200 - so the £345 price tag is an absolute steal. But you'll have to be quick. go, go, go! STYLE ADVICE: Classic and timleless Samantha Zwaga, co-owner of Plum Dress Agency, says a shearling coat is one to buy now, and wear forever. 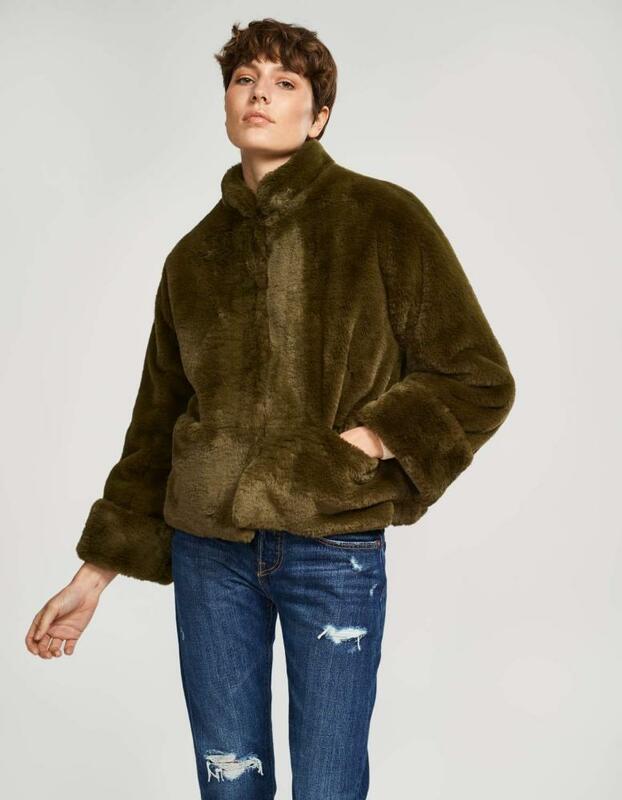 Get your faux fur fix this winter with this fabulous super fluffy Elsene faux fur jacket in the stunning army green. With a slightly cropped, boxy fit, the jacket has a wide cuff sleeve and fabulous polka dot lining.